If you’re making a tandem skydive for the first time, you don’t know what you don’t know. Luckily, we do! And we’re outspoken about it. Here are a few insider skydiving tips to ensure you get the best experience possible. The list isn’t long, but it’s vital. 1. Not Everybody Cares About Your Skydive…But We Do. Enormously! You’ll notice when you’re shopping smart, that not every dropzone is great. A whole lot of them, in fact, are “tandem mills,” where the operation is concerned far more with churning out tandem skydives than it is about the experiences of each individual tandem jumper. That, suffice it to say, is not our philosophy. A big part of what has contributed to our thriving business and community is the fact that we pay a lot of attention to everyone who comes through our door. We love new jumpers, and you’ll love us! 2. You Prefer The Limo. 3. You Like To Get High (And You Should). …And by that, naturally, we mean 13,500 feet high over the stunning Carolina landscape. In skydiving, it’s all about altitude–the higher, the better–and, because of the aforementioned super-rad aircraft, we take you thousands of feet farther up into the big blue yonder than most skydiving dropzones in the USA. 4. You Manage Risk Wisely. You know that a smart cookie has a backup plan, and you make your choices accordingly. We agree wholeheartedly with this philosophy; after all, tandem skydiving isn’t a risk-free activity, but we’ve got some of the best tandem instructors in the land–with a reserve parachute (and an automatic activation device) at the ready for every single tandem skydiver who jumps with us. We’ve got your back. 5. The Biggest Mistake A First-time Jumper Can Make Is Not Getting Photos. 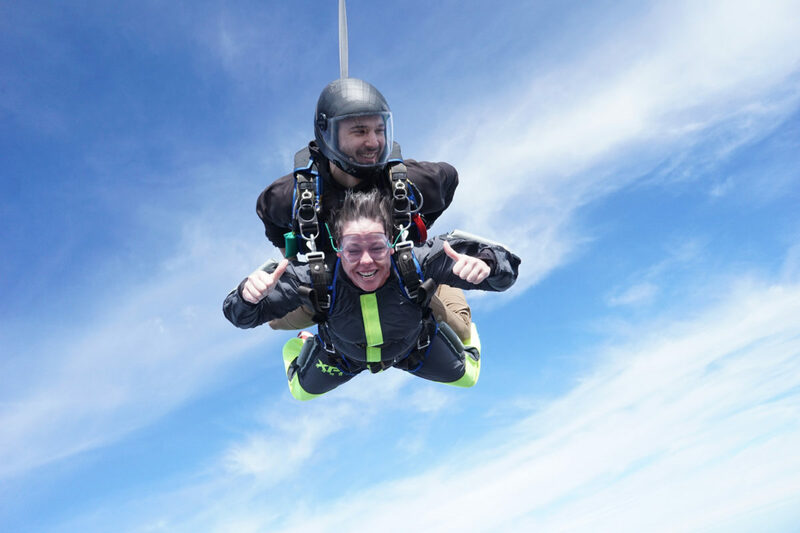 This sounds like an upsell more than a skydiving tip, we know–but trust us, the number one regret we hear from tandem skydivers is that they didn’t get photos or video to commemorate that first jump. (This author is one of them, as a matter of fact, and let me tell you: those dusty, patchwork memories are not enough.) You can always forego ‘em for your second, third, fourth, and so on–but for this first one, treat yourself. No regrets. 6. Even If You Don’t Jump With Us, Jump With A Dropzone That Has Sworn To Protect You. Here’s another insider skydiving tip … so much empowerment is waiting on the other side of that aircraft door. 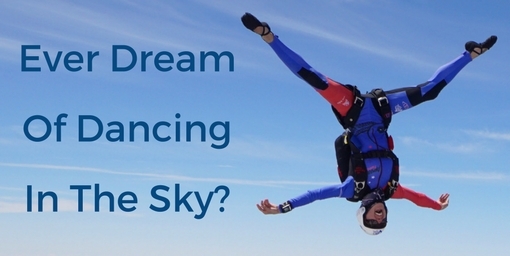 Don’t wait to see what it’s like to make a tandem skydive–you’ll only wish you had done it sooner! Located in Raeford, Skydive Paraclete XP is a premier destination for skydiving in NC. If you’re ready for the thrill of a lifetime, view more information on tandem skydiving or contact a member of our highly experienced team.